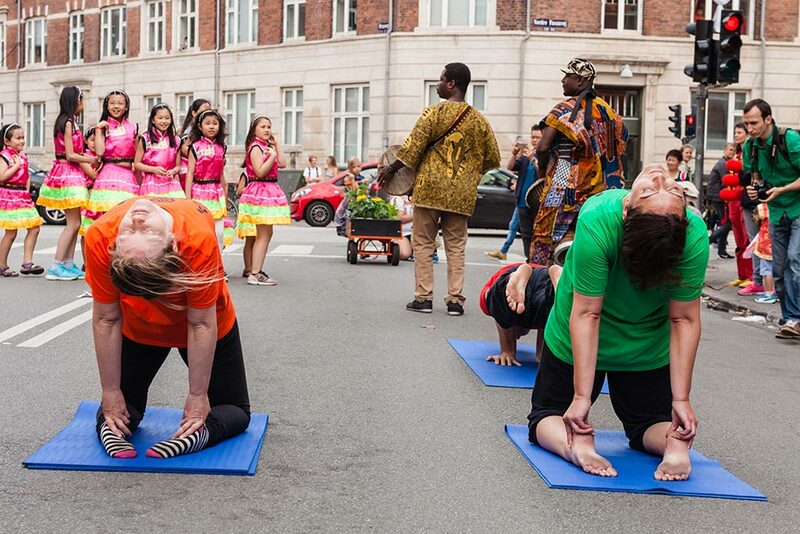 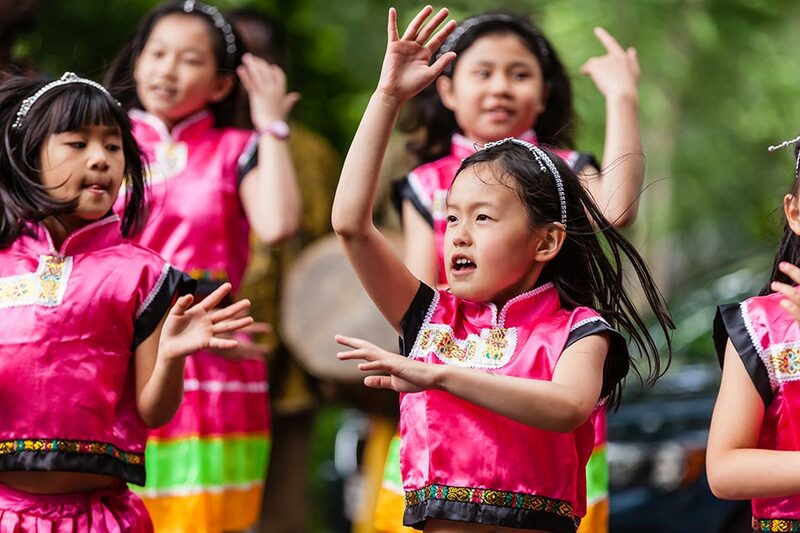 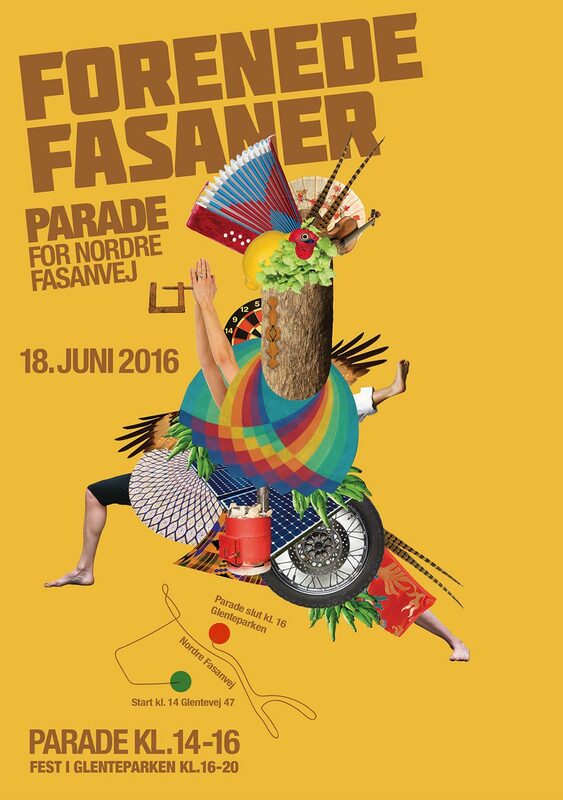 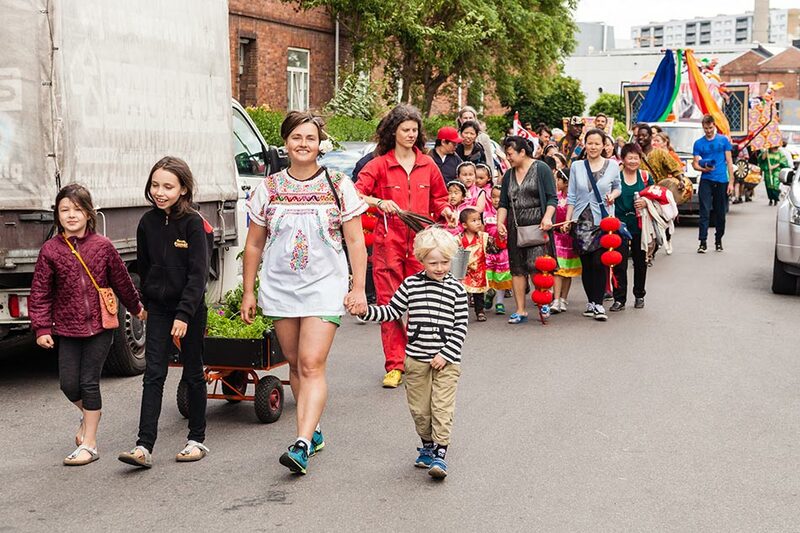 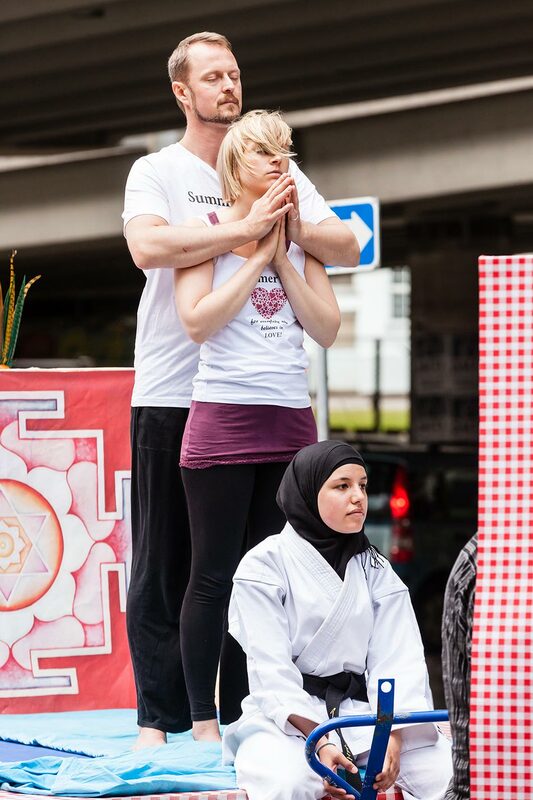 For the community project Forenede Fasaner J&K invited diverse communities around the multicultural working class area of Nordre Fasanvej to co-create a performance project in the form of a street parade along and around Nordre Fasanvej on June 18th 2016. 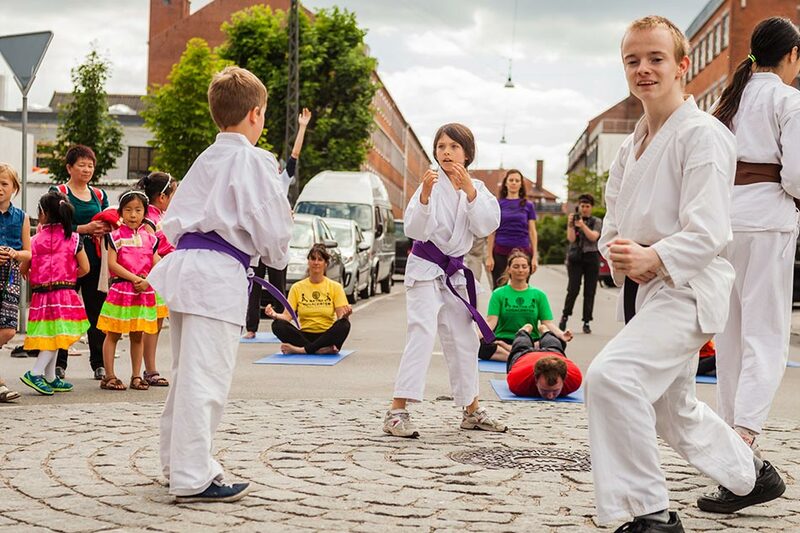 Nordre Fasanvej is a road that is perceived as a traffic way with little commercial, cultural or social activity, yet behind the facades life is brimming in the most varied ways. 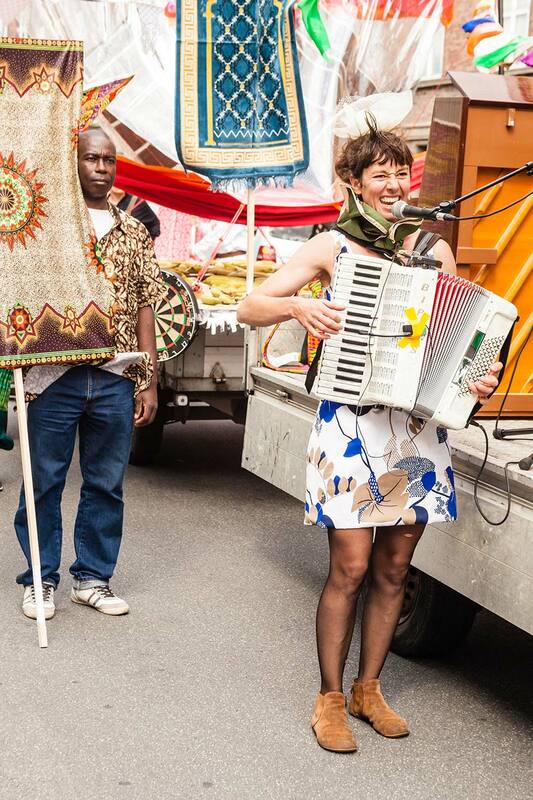 Based on a half year process of research in the area and encounters with a large number of local communities, J&K’s focus was to bring the rich and multi-faceted but largely hidden cultural life in the area onto the street and to mix-match otherwise separate cultural expressions into a fantastical living collage. 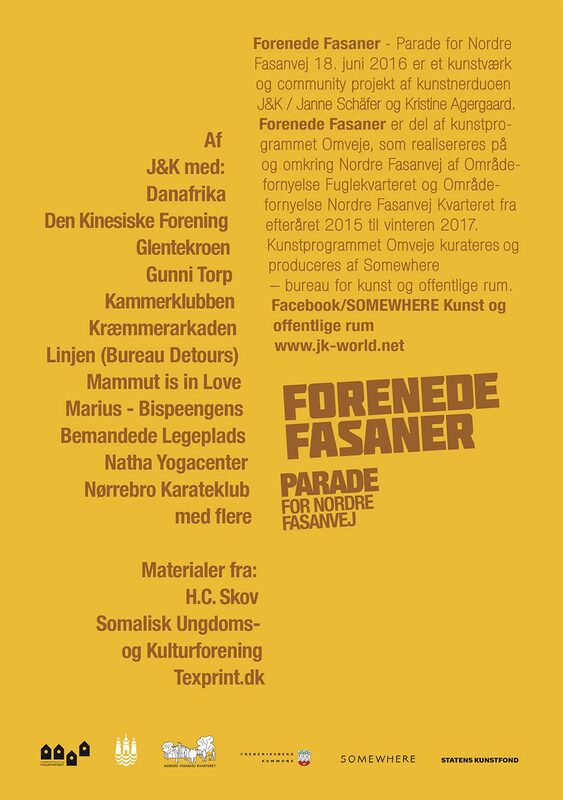 Forenede Fasaner was created by J&K in collaboration with citizens, businesses and communities from Nordre Fasanvej and neighbouring streets: Danafrika, Den Kinesiske Forening, Glentekroen, Gunni Torp, H.C. Skov, Kammerklubben / Ramez Mhaanna and Mirjam Teresa Petersson, Kræmmerarkaden, Linjen (Bureau Detours) + Wolf FM, Mammut is in Love, Marius – Bispeengens Bemandede Legeplads, Natha Yogacenter, Nørrebro Karateklub, Samuel Takyi ‘Samtechi’, Texprint, and more. 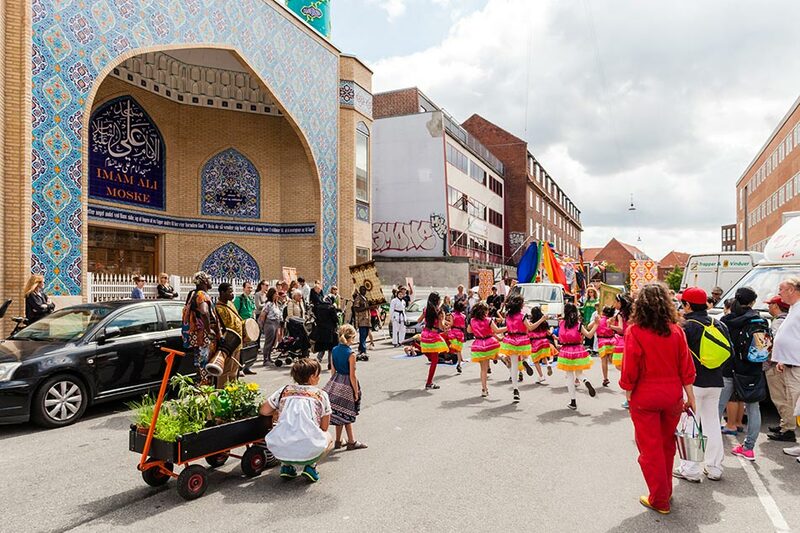 Forenede Fasaner is part of the art programme DETOURS that is realised on and around Nordre Fasanvej by the City Renewal Schemes Fuglekvarteret and Nordre Fasanvej Kvarteret from autumn 2015 to winter 2017. 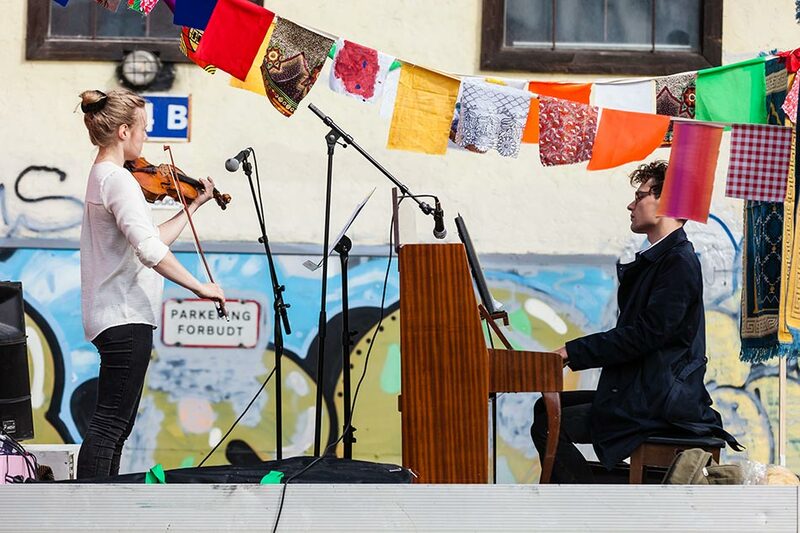 The art programme DETOURS is curated and produced by SOMEWHERE.